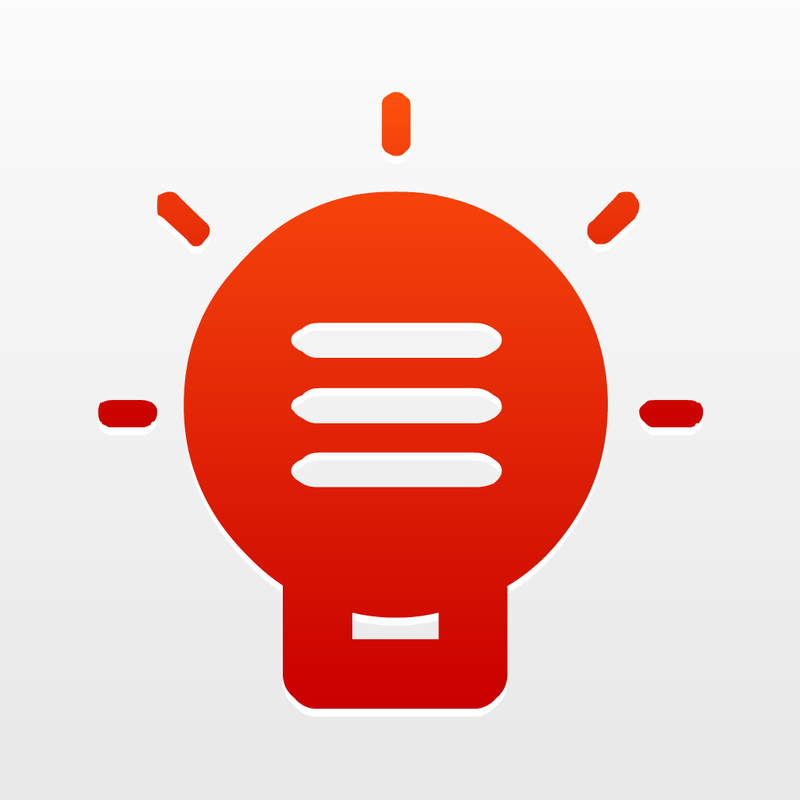 Whitespace - A Writer, Editor and Organizer For Your Notes and Ideas by Dynotes Mobile Technology LTD. (Free, 3.2 MB): Because of its small visual footprint, word processor-like tools, and task management organization options, I would best sum this app up as a thought manager. For example, you may store to-do lists, a journal, general written reminders, and more all in the same spot. To allow such a wide range of note-taking, the app includes the ability to tag entries to one or more color-coded categories called "Spaces," attach photos, write in list or paragraph format as well as apply other basic text attributes and characters. However, that's only one key feature. The other is all-in-one access. Quite tidy considering the amount of data, the main screen includes several recent entries for instant viewing and editing along with quick access "Add" entry buttons, a general and one for every space. In addition, entries are indexed for quick location via search and shareable through email. The app does contain an ad banner, which can be removed for $1.99. WonderCam by Francesco Rossi (Free, 44.7 MB): Especially great for creating fun selfies, this camera and photo editing app includes comic book bubble stickers, easy face swapping functionality, face-in-hole template boards, and more in a single package. Similar to Apple's Photo Booth app, (almost) every effect is demoed in a borderless grid live preview panel. 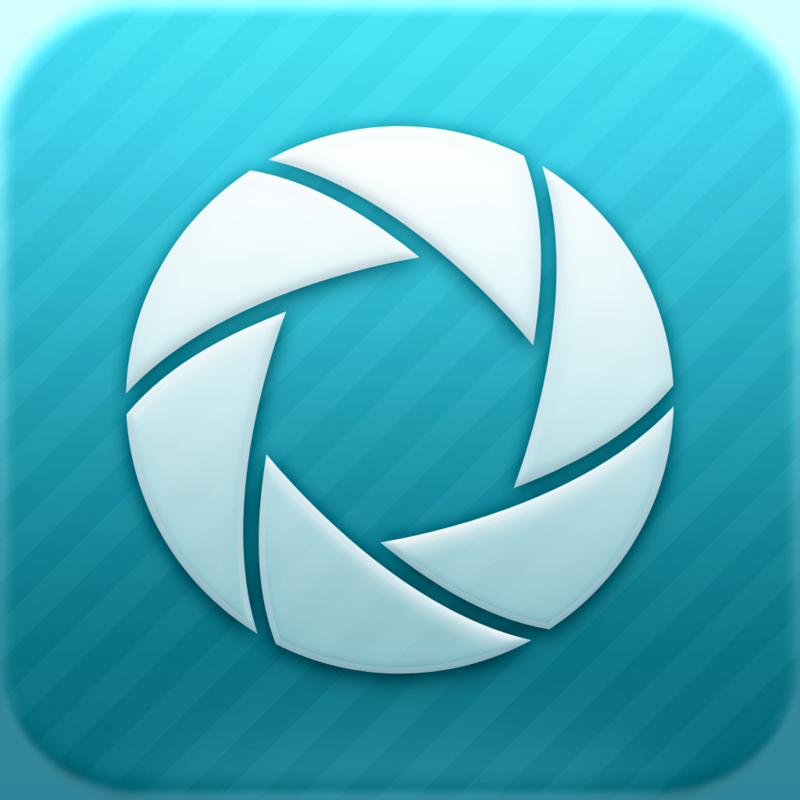 Depending on which one you select, the app will automatically select the appropriate camera and possibly provide an alignment guide. From that point, just snap the photo, review, and tap share to post it on your Facebook wall. The app features nearly 100 total effects spanning categories, in-app gallery, and Facebook integration. Unlock individual category sets for $0.99 each or get full access for $3.99. 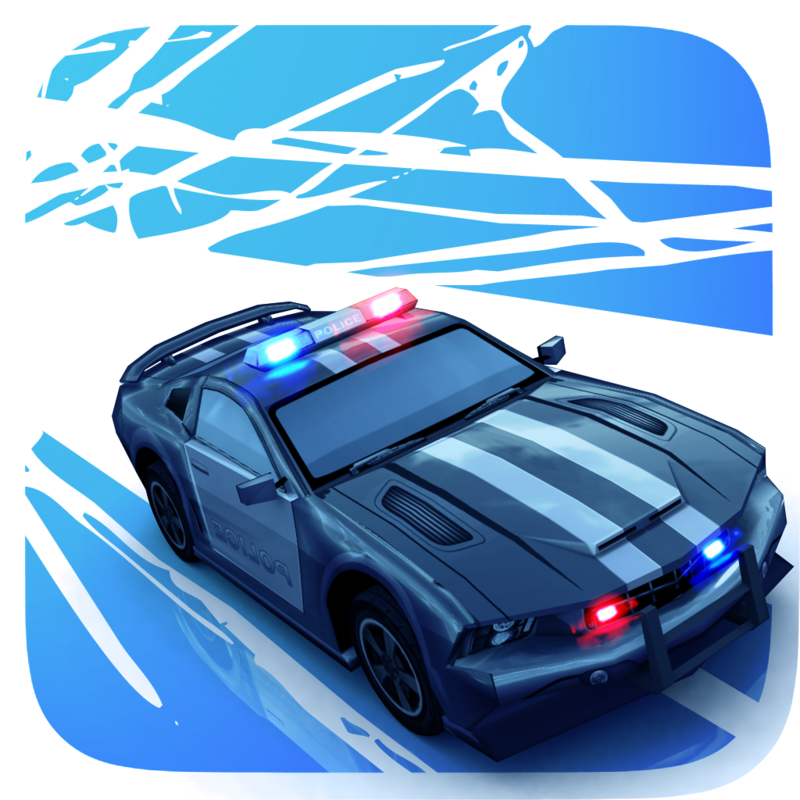 Smash Bandits by Hutch Games Ltd (Free, 139.5 MB): Rather than back the laws, you're going to break them in this reverse role police pursuit game by the creators of Smash Cops. Once again, the news chopper hovers above, following every smash, crash, and crumple you cause through the crowded streets of countless neighborhoods. If you run out of road, make things explode. In other words, don't hesitate to plow through road blocks and barricades or single out a single patrol for demolition. Next, when you can't make it, take it. After your own ride is ruined, grab a squad car or anything nearby that will propel you to freedom. The game features 3-D graphics, unique single finger control, survival and challenge modes, 100 different objectives to satisfy as well as Game Center achievements and leaderboard. 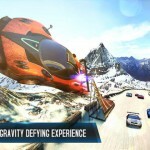 Asphalt 8: Airborne by Gameloft ($0.99, 842.9 MB): The part simulation and part arcade racing series speeds ahead into another great sequel. As you slide behind the wheel of a new set of cars to tackle the twists and turns of highly demanding new courses, there should be only one thing on your mind, "it's time to fly." By that I mean both literally and metaphorically. Scattered throughout every track are massive ramps allowing the opportunity to perform dramatic barrel rolls and horizontal spins, which add some simple fun and rewarding points. Of course, on the other hand, I'm referring to the other gravity defying property of extreme velocity. Blow passed or through opponents more efficiently using the improved nitro system. When two bursts are timed just right, you will initiate a two-stage ultra boost to provide the utmost performance. 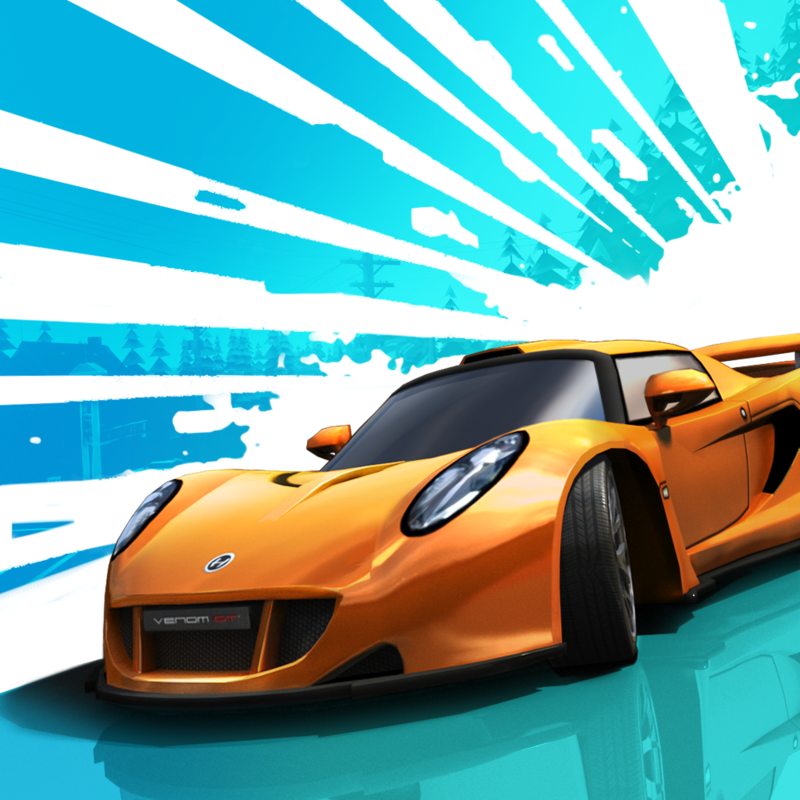 Moving forward down to what really matters, winning, Asphalt 8 includes several paths to show your skills. 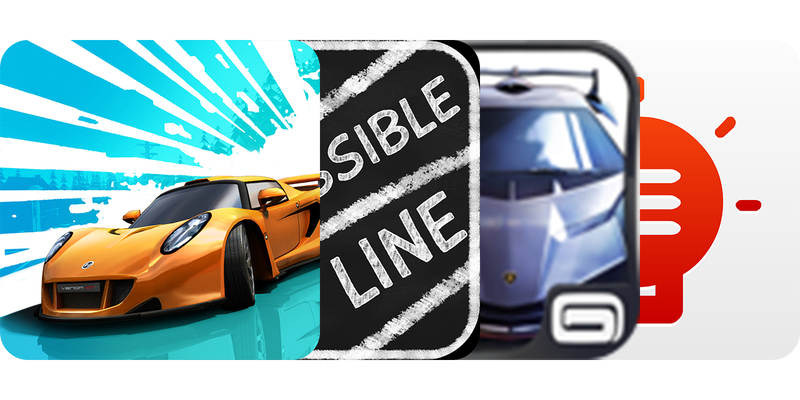 Along with the standard trophy ranks, you are awarded for additional achievements plus automatically challenge yourself and others through ghost cars mimicking top runs. 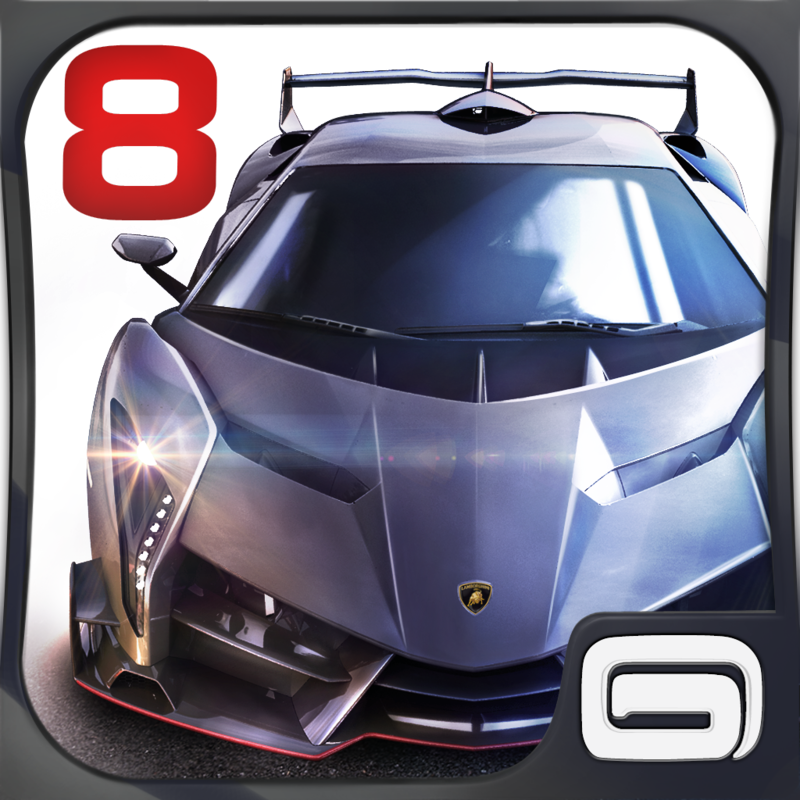 The game features 3-D graphics, techno soundtrack, single race Quick Play or eight season (180 event) Career solo modes, up to eight person online or local multiplayer modes, nine locations, 47 total cars, tilt and touch controls, as well as Game Center, Facebook, and Gameloft Live integration. 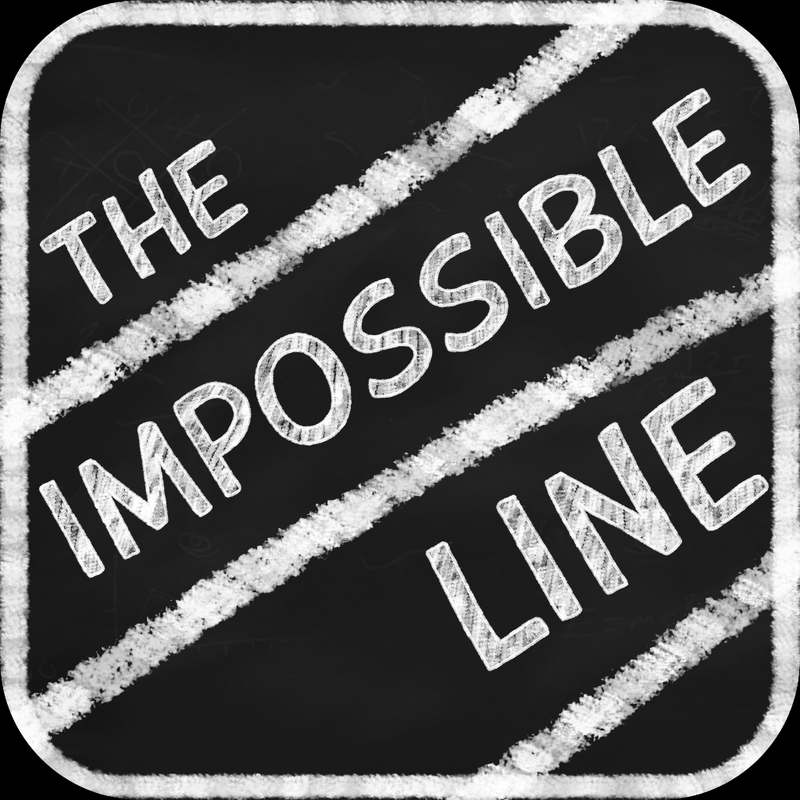 The Impossible Line by Chillingo Ltd (Free, 22.2 MB): This cleverly designed memory-based maze-type puzzler can entertain and stimulate those of nearly any age. Before you sits a chalkboard with a green arrow, target, and possibly shaded blocks that represent barriers. 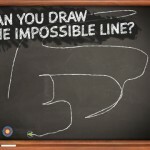 The objective is to move the chalk drawing arrow around the barriers to the target by simply swiping a finger. Sounds way too easy, right? At first, it certainly is, although, you'll soon notice the missing trick, literally. Once movement has begun, the walls will vanish, well, not entirely. Actually, the barriers remain, but are no longer visible. Obviously, memory becomes the key skill here, in addition to dexterity. However, don't worry if recognition isn't at a preferred level. As you progress, a beeping alarm and the resizing red circular gauge at the top-right will warn of nearby obstacles, changing in regard to proximity. Furthermore, you have options to trade collected in-game currency for a mining hat-style headlight and magic 3-second entire board un-eraser power-ups. The game features 2-D graphics, 300 levels, single finger control, plus Game Center achievements and leader board. Disabling the ads requires a $1.99 in-app purchase.